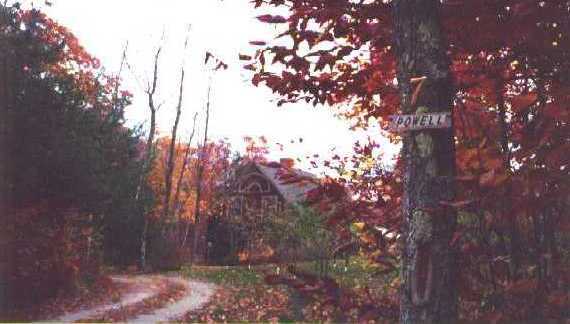 We'd been looking for a house for over 2 years - ever since we sold our last house in Brattleboro, VT. We saw this house in June of 2001 but missed it - someone had already put it under agreement. We were absolutely devastated because it is so perfect in so many ways. Not only is it just the right size house with everything we want, but it has a small barn/shop with 6 [count them, six!] carriage house bays. Imagine them all filled with SAABs!